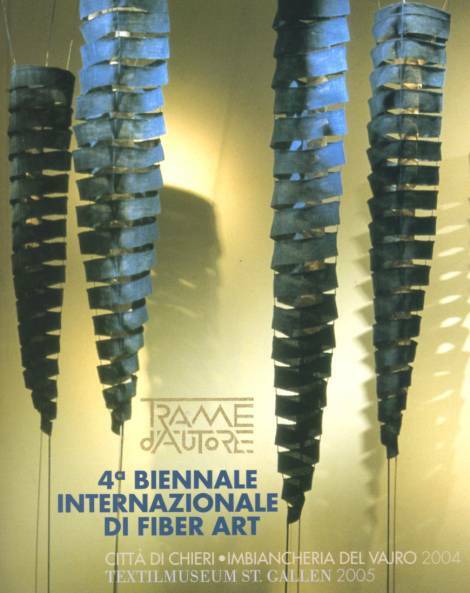 The Chieri Biennial of Fiber Art has invited artists who have conceived and executed their own works - unique objects that are not duplicated. 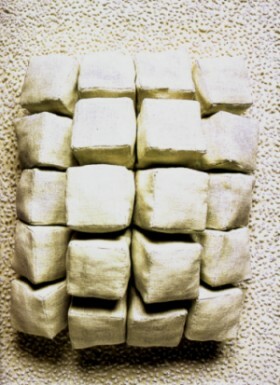 They have used materials from the textile traditions or experimental materials, often with the aid of a variety of techniques. The Biennial features textile sculptures and installations tailor-made for the exhibition space as well as several group projects. The works that will deligtht the Biennial visitors in Chieri will be moved to St.Gallen in the summer of 2005, where the Biennial will be featured as the guest exhibit of that city's textile museum. 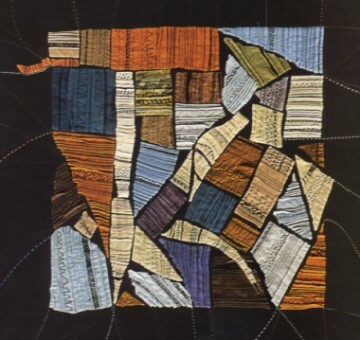 The works selected for exhibit have been judged for their content and philosophy, for the artists have been summoned to make their personal beliefs visible in their art, along with their ideas and emotions, through the language of textile art. In this way, we can witness how the artists' mood and emotions come to the fore through the sensitivity that comes out of their hands. As the chromatic play and the three-dimensional quality of the works strike our senses of sight and touch, we are attracted by the expressive power of the materials. It is precisely this tactile element that makes this experience unique..